Former World No. 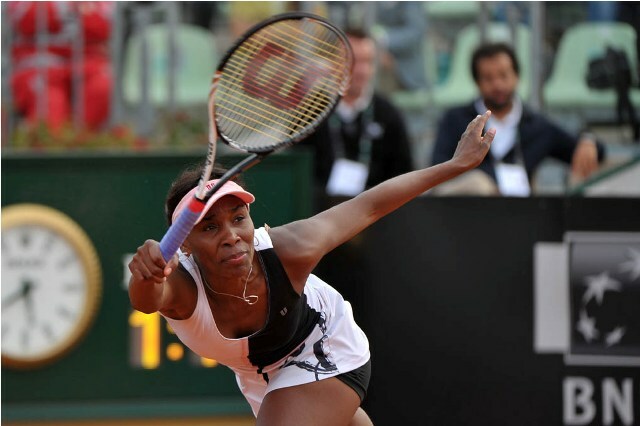 1 Venus Williams has officially withdrawn from the BMW Malaysian Open. The American cited a throat infection as the reason for her withdrawal. While she will not be able to play at the event, she will still make her scheduled public appearance at the Women@Work forum. “Although I cannot play in the Malaysian Open, I will be in Kuala Lumpur to honour my obligations to the sponsors and attend the Women@Work forum on April 17 (sic),” Venus told the Star Online. After it was revealed back in 2011 that Venus had Sjogren’s Syndrome, an incurable immune system disease that threatened to end her career, many believed, including the American, that her best days were far behind her. Yet in 2014, Venus is back to her winning ways, as she reached the finals in Auckland at the start of the season, and following up with yet another title win in Dubai to extend her undefeated record at that event to 15-0. Ah too bad for Venus glad she will do the speeches and such–she got there super early to play so it is a shame she had to pull out.